Thursday was a weather day (complete with thunderstorms and water spouts!) so we made the most of our time by visiting the Vis museum along with the folks from the Croatian Conservation Institute. The museum there has a small but interesting collection of artifacts ranging from ancient Greek black glazed pottery right up to substantial parts from B-24s collected around the island. The museum staff was kind enough to allow us into their storage areas to see many of their WWII artifacts, which had particular significance given our current project. Friday we were able to resume our work on the Tulsamerican. 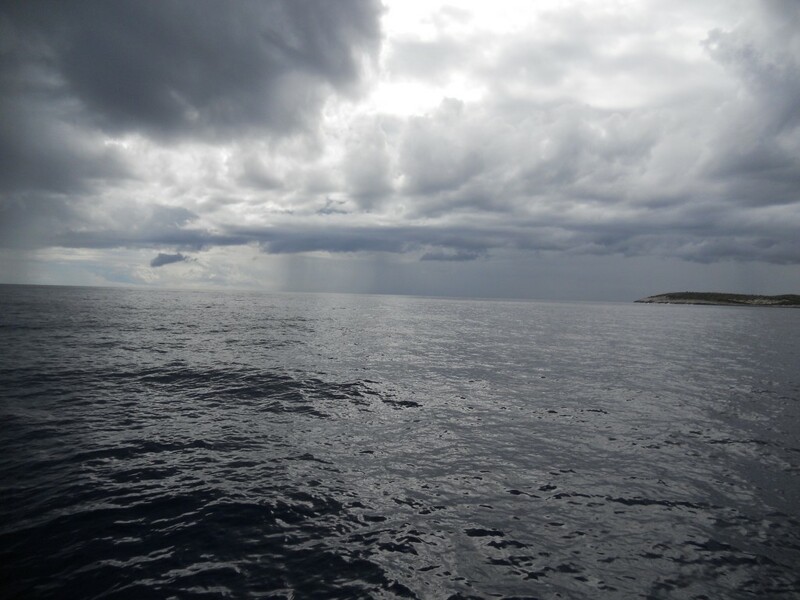 The morning’s weather was still rainy and fairly windy, so the dive captain decided that we would head for Rukavac at noon. By noon he meant 12:30, so by 1:00 we were all on the boat and ready to go. The borrowed ROV had to go back to Zagreb, so this was a manned dive. Each of the eight divers was equipped with at least one GoPro camera, provided by Mark Petersen. (Thanks Mark!) Each of the divers was assigned a particular area of the wreck to maximize the diversity of footage obtained. With a safety plan in place, we headed to the wreck! 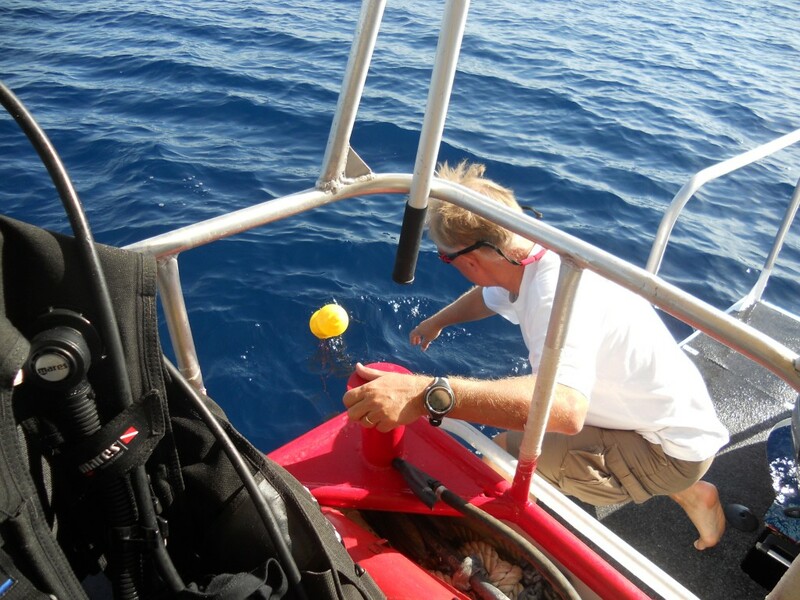 Also part of the day’s goals was deploying the pH meter and the corrosion potential meter on the wreck. We also made it to another B-24 wing on the north of the island to take measurement, so a very successful day! The dive was successful, and plenty of video of the forward section of the wreck was secured. The weather was also pretty fantastic, and put on a beautiful show as rain moved around the dive site. 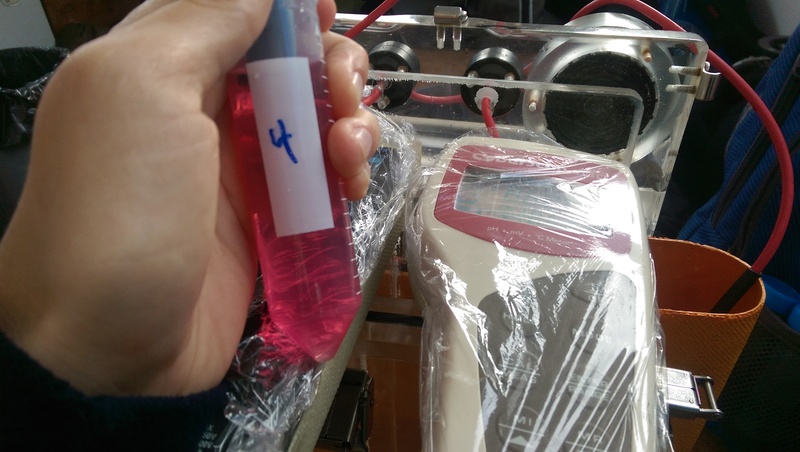 The pH Meter and Corrosion Potential Meter after the dive. 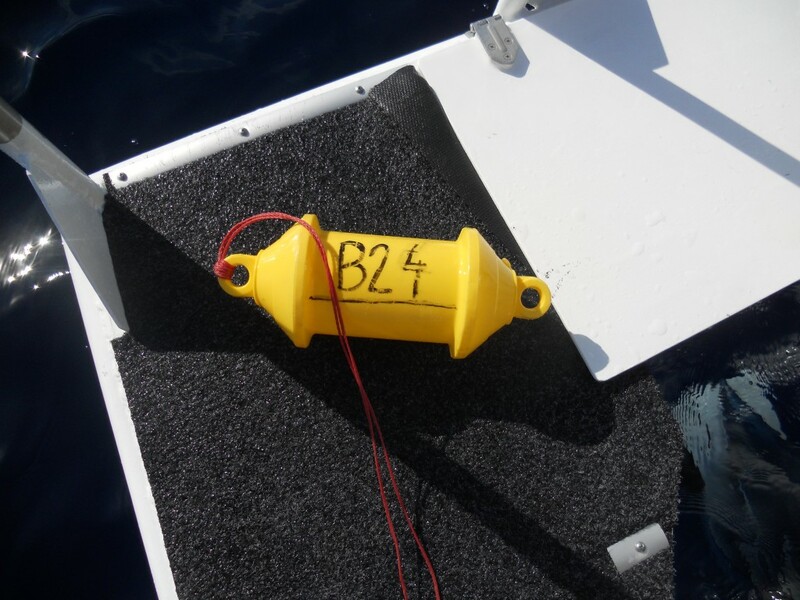 The mooring buoy’s helpful label! The weather put on a show- rain coming in!